Double mittens!! Well, two mittens in one. Learn the provisional cast-on (or an easier alternative), and knit a mitten with a palm thumb, then pick up and knit another mitten in the other direction to stuff inside the first for thick, cozy warmth! 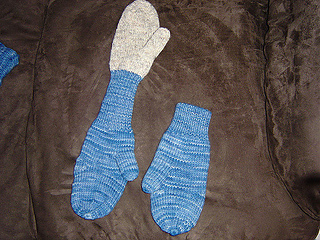 These mittens are shaped with optional short rows to conform to the hand’s natural curve. In 6 sizes for children up to men. Gauge: 4.25 and 4.75 stitches/inch. 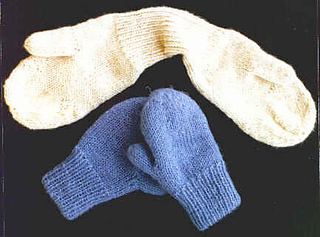 Featured Techniques: Provisional Cast-On (in two ways), Twisted Ribbing, Palm thumb shaping, Short rows and wrapping, Round Mitten Tip.